The Ibex® SuperLite is ideal for dairy practice and outdoor field work. Like other products in the Ibex® line, the SuperLite is rugged and water resistant, with a 6+ hour battery life. Video headsets are great for working in both bright sunlight and low light conditions—the SuperLite has multiple headset options available. Worn around the waist, the SuperLite is lightweight and makes for streamlined workflow. 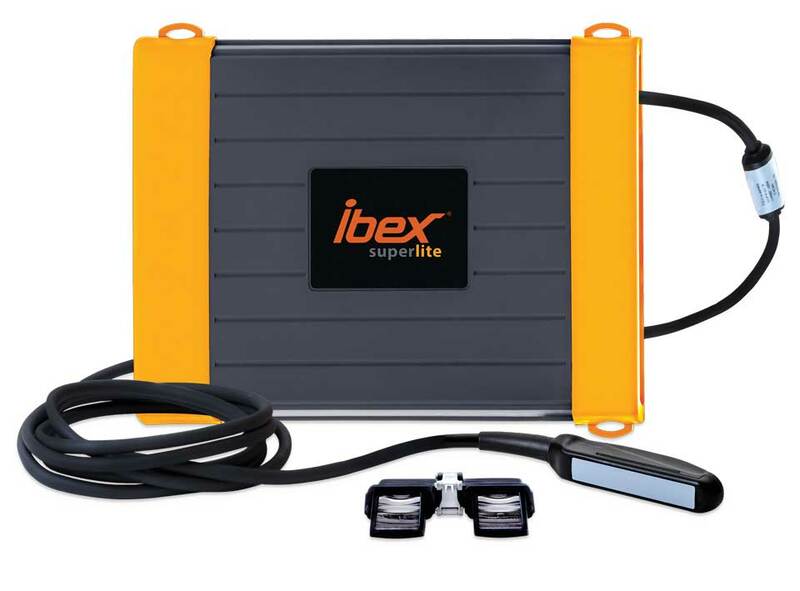 The Ibex® SuperLite has all the features you need in an ultra light, ruggedized package. The new hardwired L7HD probe provides high definition images usually found in higher end ultrasound units. Enhanced battery performance providing 6+ hours of continuous runtime. With 90% of the features and the same image quality of the Ibex® PRO and PRO/r, the Ibex® SuperLite is the ideal choice for bovine ultrasound. From basic repro to fetal sexing and calf lungs, the Ibex® SuperLite has all the features you need in an ultra light, ruggedized package.